It’s the bold accenting colour which was all the rage in the 1980s but now blue eyeshadow is making a comeback for 2019 and we have all the beauty tips to help you nail the trend. Take a look at our beauty feature below. The particular variation of the blue eyeshadow trend the bloggers are loving is the bright blue look. Take a shed-load of eyeshadow, this look is seen coating whole eyelids with one hue with the same shade used to smoke a little under the lid. It might sound horrifying but executed correctly and this method can look bold and daring. Opting for an electric blue shade can clash stylishly with a bright pink lip. Don’t be afraid to embrace classic colour combinations from the 1980s. A little black mascara atop this full coloured eye can be all you need to get a statement result. 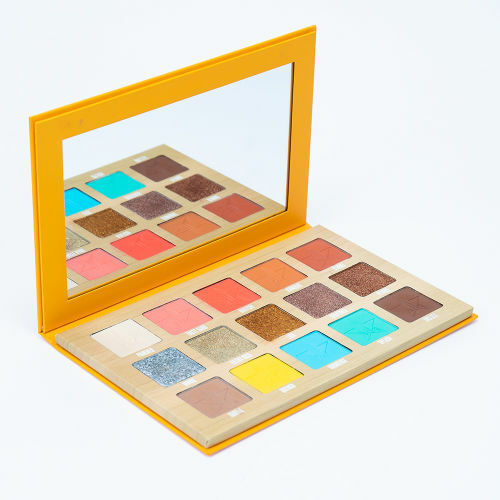 You can get entire palettes to play around with to create your ideal look such as the Huda Beauty Obsessions eyeshadow from Selfridges, which has fantastic pigment for a true blue eye look. The ombre eye trend shows no signs of slowing and teamed with the reintroduction of a bold blue eye had given birth to a fun way to play with colour for the new season. We love the pairing of a turquoise blue hue with a canary yellow or lime green, smoked out with a darker hue underneath for a juxtaposing sultry colour-pop style. You can go extra and introduce some more colours, perhaps a purple or pink to liven up your look if you like a more standout aesthetic. Take your time and be sure to use an array of eyeshadow brushes when applying to get your colours blended to perfection. This might not be the look to attempt to master in the pre-work morning rush but we love to think of it as a fun get ready playful routine you can experiment with whilst preparing to head out on the weekends. 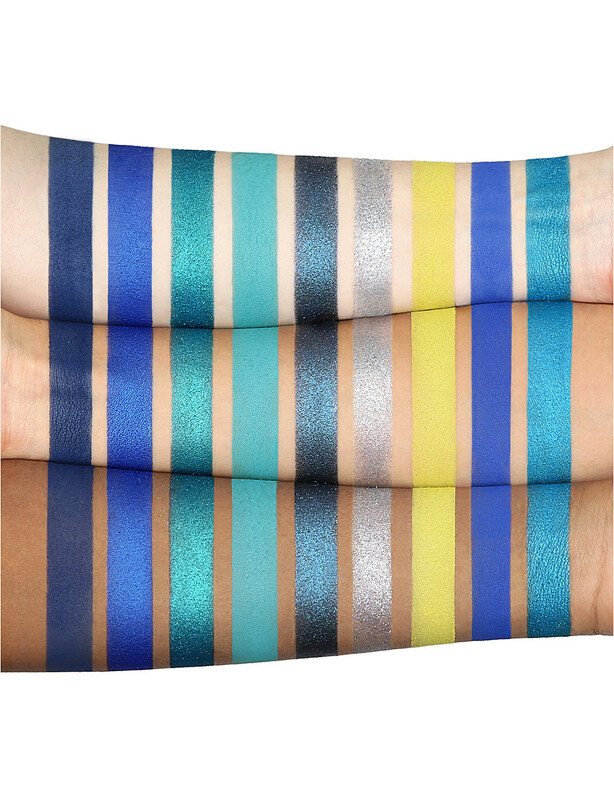 The Jeffree Star palette by Beauty Bay is exceptional for it’s blue and yellow pigments, we would 100% recommend if you are waning a lighter summer intro to the blue trend, especially for clashing in an ombre blend with contrasting colours. If the idea of going full-blue frightens you, you could dip a toe with just a subtle nod to the trend. Adding a blue mascara to a black/grey smokey eye or even smoking out your under lid with a classic blue shade could be your foot in the door to introducing this hue to your palette essentials. 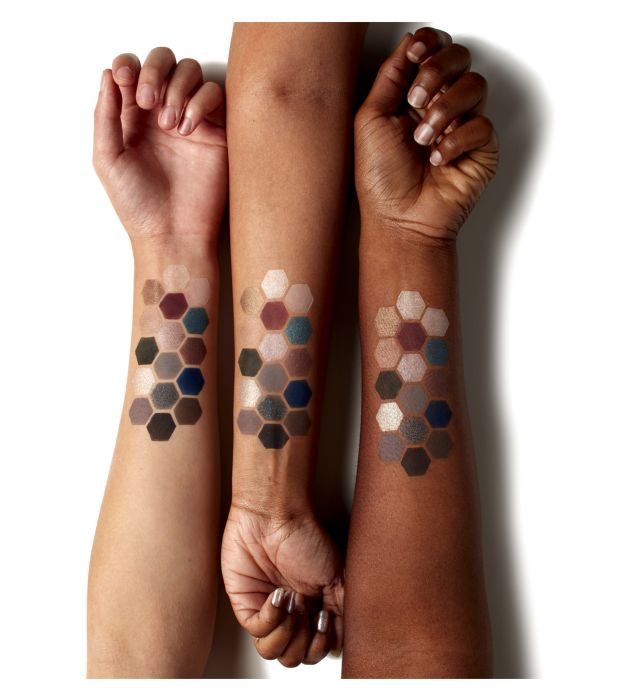 This Nyx Ash Palette from Boots equips you with all the dark hues to achieve this. Giving a range of grey and black tones to blend out with a teal or blue hint. "High end versus fast fashion: the battle for originality"